Click the cartoon to view slightly larger in a separate window. That "just didn't grab me" comment from quadrant B is the one that burns the worst, I think. 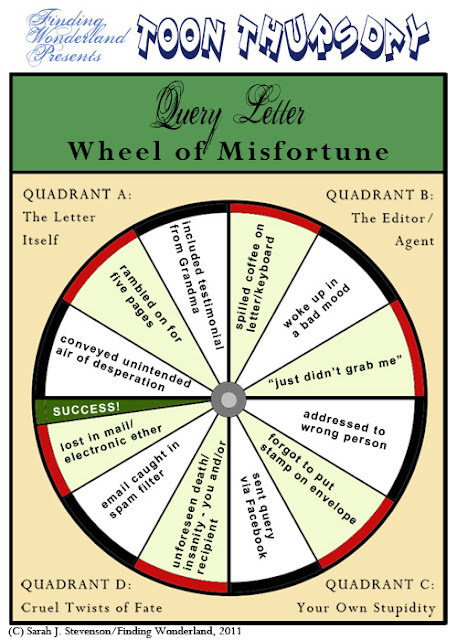 I love and hate this wheel of misfortune in equal measure because it's so true! *Giggling*, so, you mean, we're not supposed to query on Facebook? Story of my life too! Silly publishing peeps. Sheesh! Thanks for showing the lighter side of things, Sarah.